The Grammys are right around the corner on Sunday, February 10th! It is one of music’s biggest nights and we are pretty psyched to see the results, the fashion, and Alicia Keys of course. A couple of favorite albums that we have previously praised on the blog have been nominated for Album of the Year including: By The Way, I Forgive You - Brandi Carlile, Golden Hour - Kacey Musgraves, and Dirty Computer - Janelle Monae. We are proud to have Nashville represented in the main category but more importantly, we are relieved the nominations are finally equal between male and female artists. Women have been historically snubbed at the Grammys since the first award was given out in 1959. 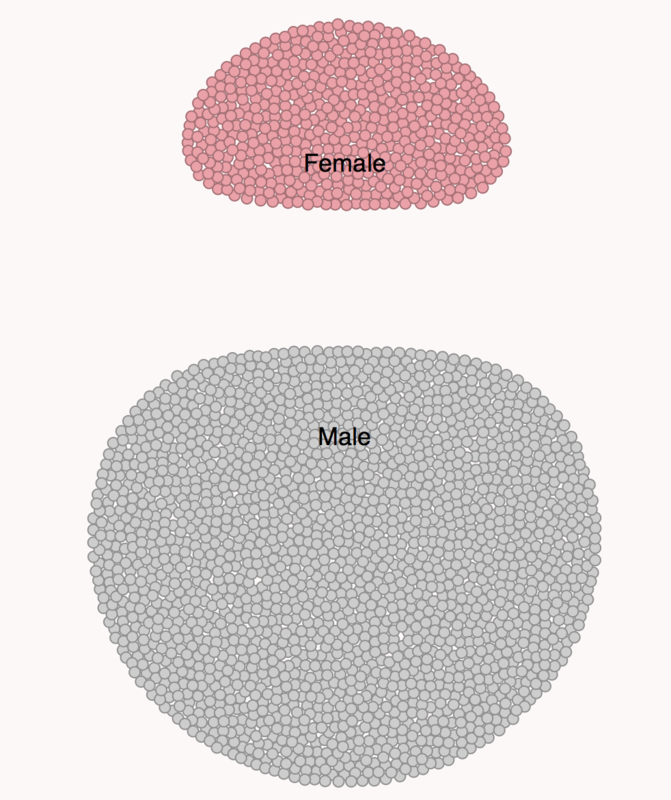 This lovely image displaying the number of male vs. female nominees was taken from Glamour Magazine. The numbers are astonishing and they look even more daunting with a visual representation. The picture shows that only 19.6% of all Album of the Year nominees have been women. There have been 457 male nominations and only 88 female nominations. To break things down even further, only three women of color have won Album of the Year in 61 years: Natalie Cole (1992), Whitney Houston (1994), and Lauryn Hill (1999). Diversity in the awards show seems to be moving in a positive direction but headlines like “Grammys Are More Diverse But Women of Color Can’t Win” and “Women Dominate 2019 Grammy Nominations - Is It Enough?” make us want to push the envelope even more to see all races, genders, sexual orientations, etc. on that stage. Click on the artist’s picture below to listen to and support your favorite female Album of the Year nominee!